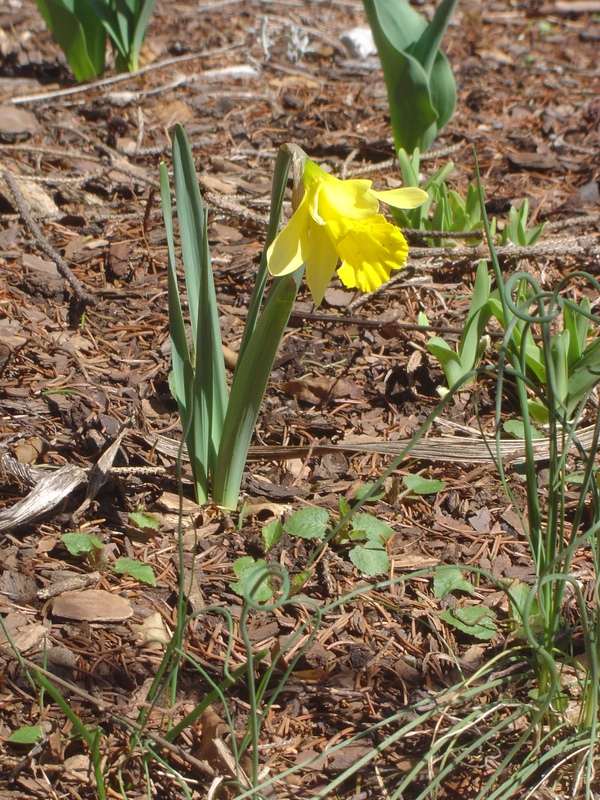 The last two (frost-free!) 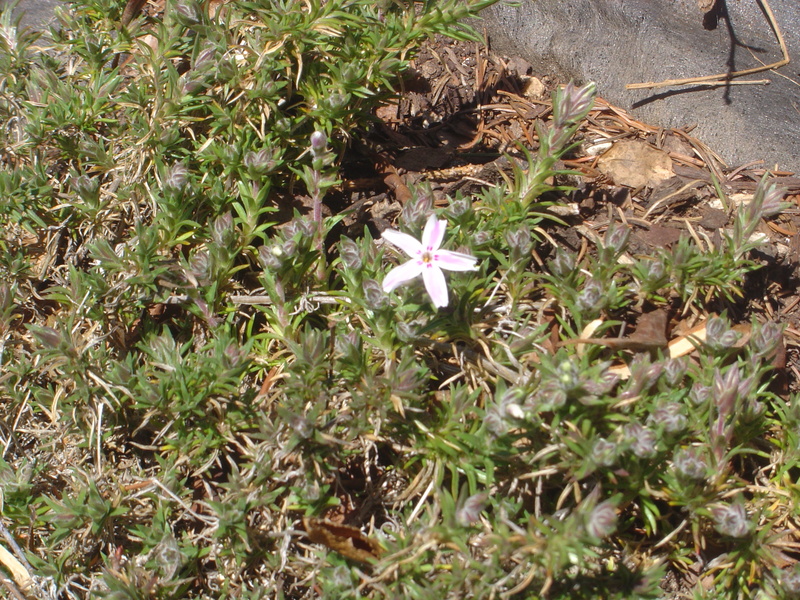 weeks have seen the emergence of many, many perennials, and the first few blooms. 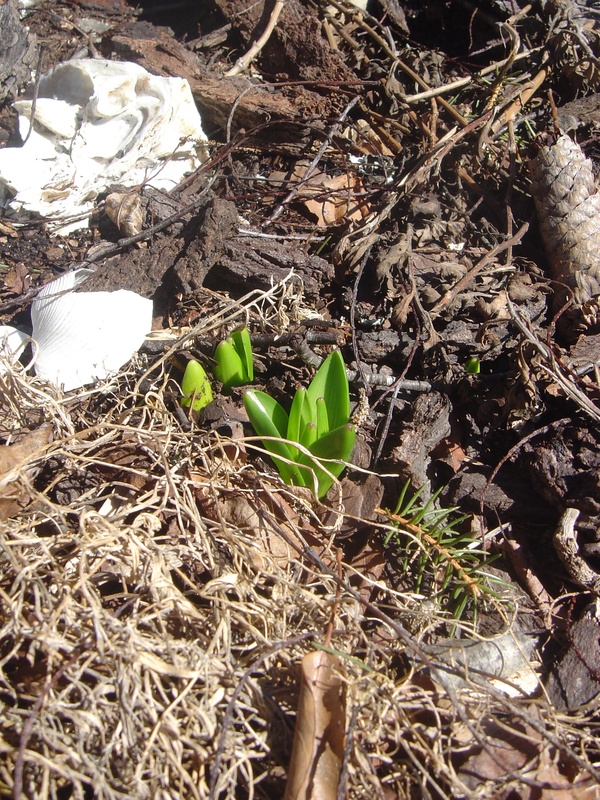 As the squirrels search everywhere for their hidden nuts, they scamper through a tall forest of daffodil leaves and thick clumps of the darker green star of Bethlehem. 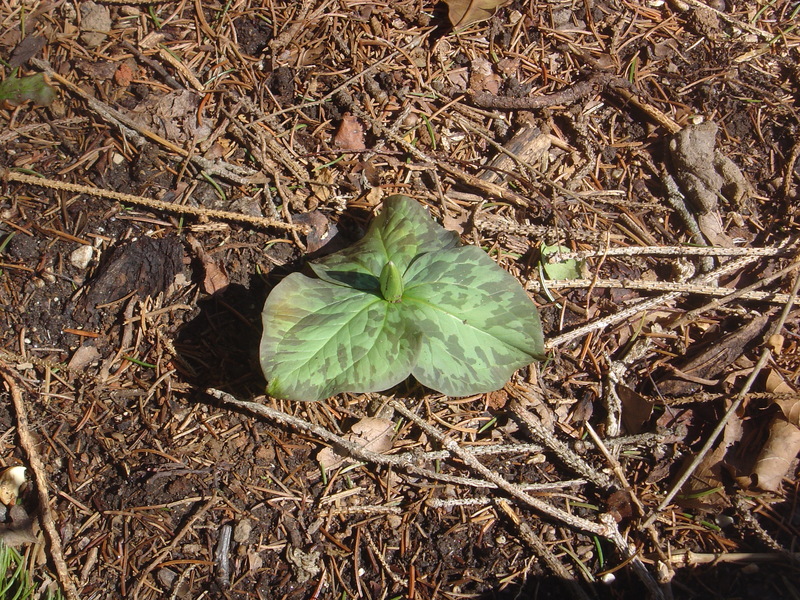 They’ve been digging all around the trefoil leaves of my new trillium, but thankfully seem disinterested in it. 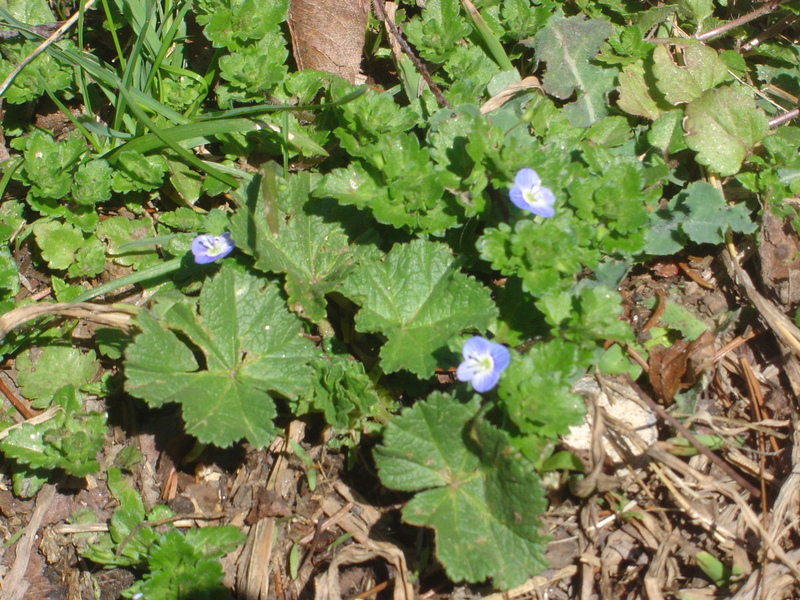 While the first few spots of color are welcome after the winter, the real beauty in the garden at this time of year lies in the tiny, perfect shapes of the emerging perennials. The minute pale green scalloped leaves of the columbine push through the mulch assertively, while the sharp-toothed heads of the gladioli slice through the dirt like knives. The couple of small campanula plants I put in last summer have been busy spreading their roots throughout the surrounding beds, and tiny new plants are erupting all over the place. 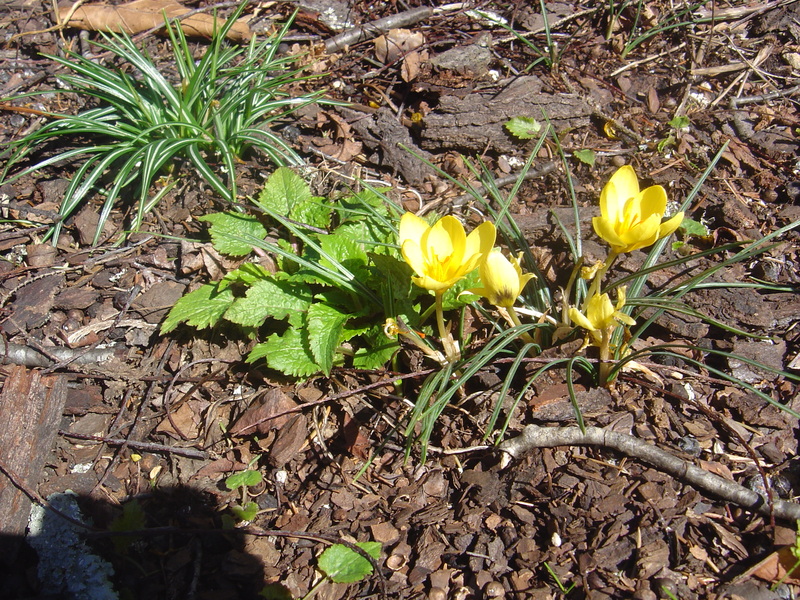 As these plants didn’t flower last year, I hope they’re going to put on a show this summer. A fiesty gladioli. 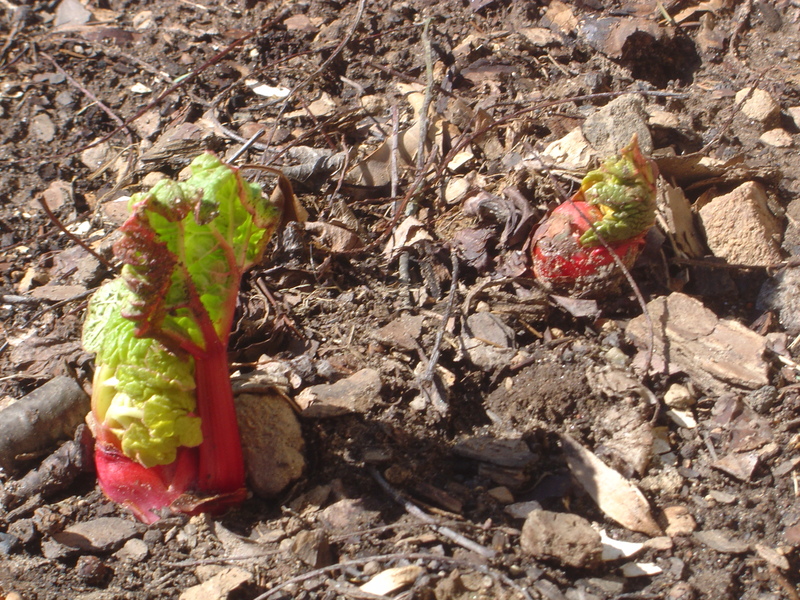 First rhubarb leaves. The thick snouts of the hyacinth always make me think of the sand worms of Dune as they emerge, reach for the sky, and open like hungry mouths. 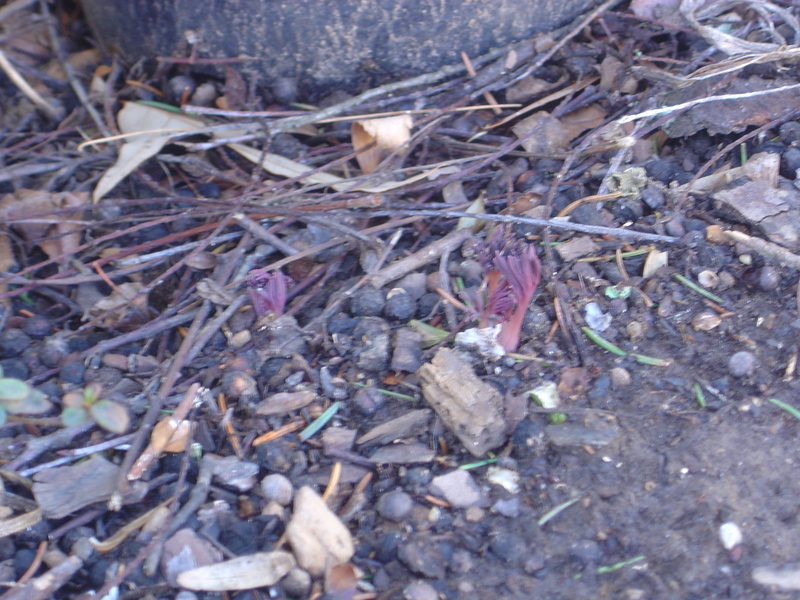 Certainly not much to look at now, but these weak pink sprouts will soon grow into rather large and lovely bleeding hearts. All in all, it’s an exciting time in the garden, the first hints that all the work that goes into maintaining it is going to pay off yet again. 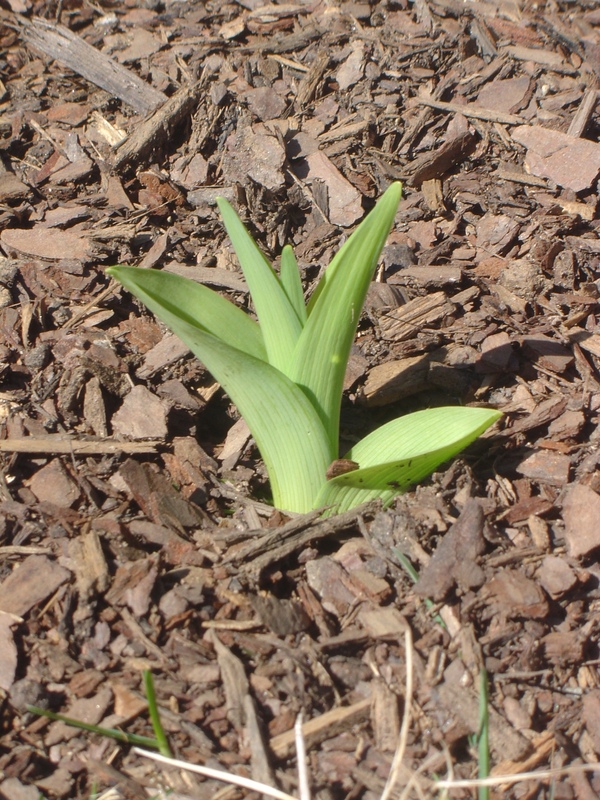 Going by all the leaves emerging, I’m hoping we might have a very good year for tulips (due to careful dividing and transplanting over the past two years) and my rather bare, ugly front beds might actually approach the sea of tall blooms I envisioned over the last two years when I planted dozens of tall plants (gladioli, iris, peony, foxglove, hollyhock, lily, poppy, and delphiniums). I was afraid most of these had died over the winter, but now I see new shoots emerging from the brown husks of some of the hollyhocks and foxgloves, so they might be more resilient than I thought. Fingers crossed we’re spared a prolonged arctic blast to stunt or kill all this budding lushness.